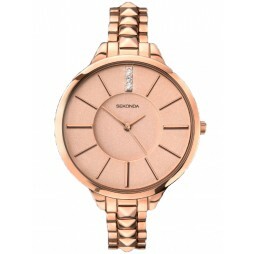 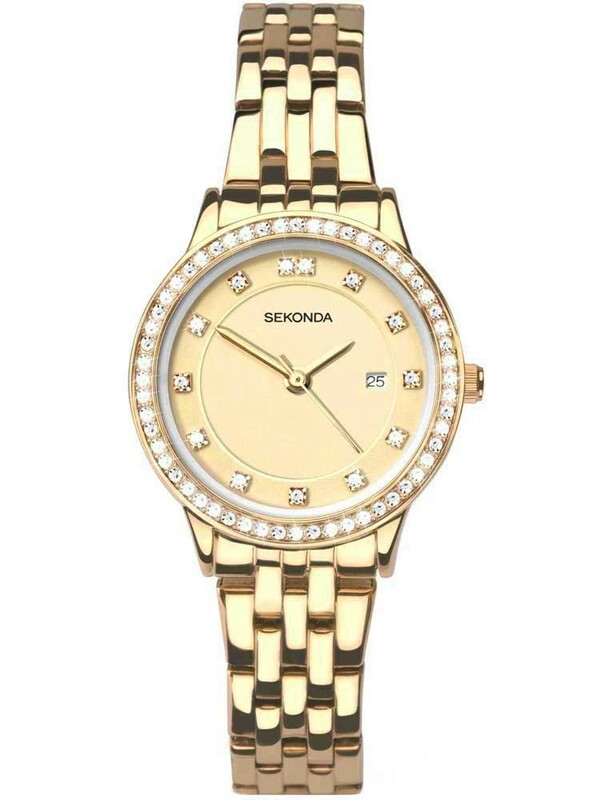 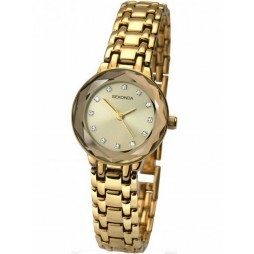 Sekonda introduces this awe inspiring piece from the diverse and fashionable Harmony range. 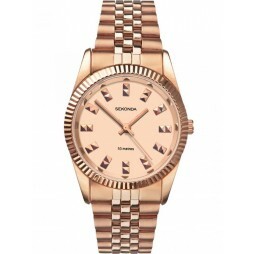 The gorgeous colour is a result of magnificent gold plating on astonishing stainless steel, producing a bright and eye catching effect. 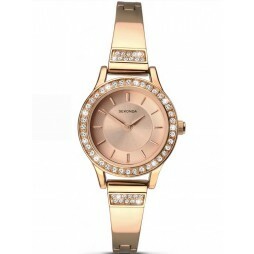 The entrancing selection of stunning crystals surrounding the bezel is a phenomenal touch, providing the piece with enchanting glimmers and flickers. 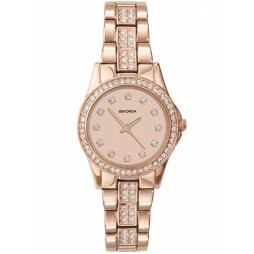 Matching crystals have also been applied to the dial, acting as glamorous hour markers. 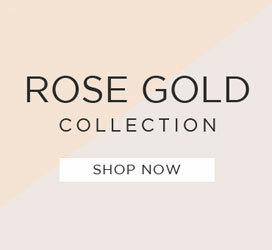 A marvellous matching trio of dial hands have been teamed with a glorious gold crown, alongside a useful date display and the brands signature logo.